Listen to Career Book 3. 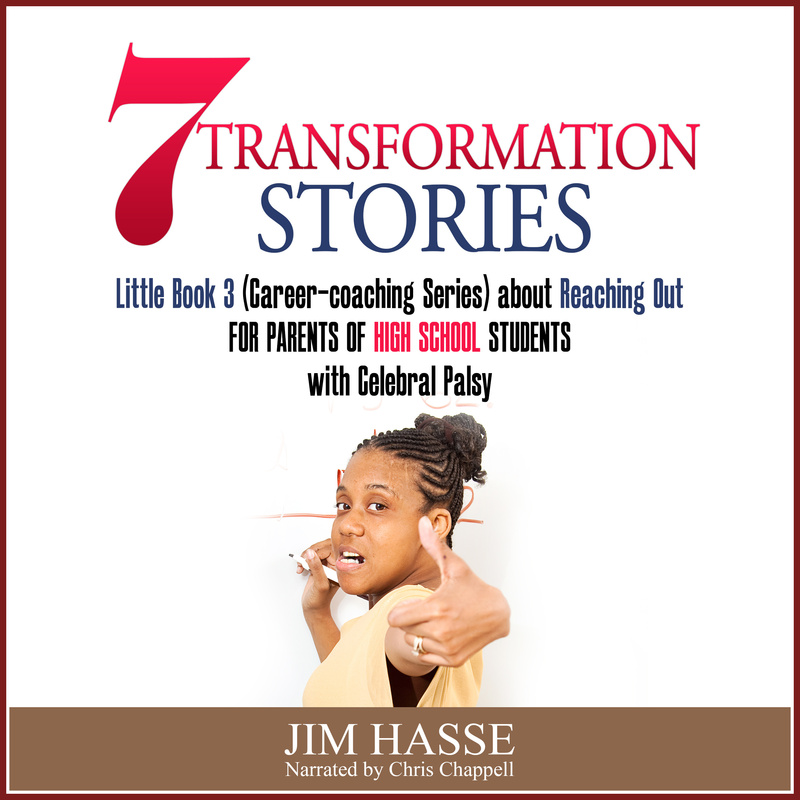 It's an audiobook which summarizes the track you can take as a parent in effectively coaching your high school student who has cerebral palsy (CP) or other special needs. Career Book 3 is also available as an eBook and a paperback. 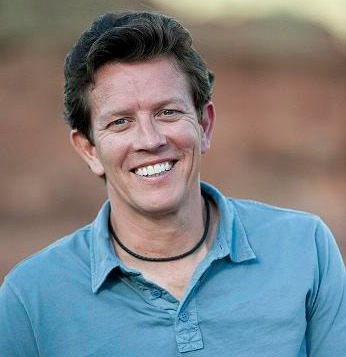 Here's why you need to download this audiobook of strategies for high school students. It shows how leveraging disability worked for me in the mainstream job market -- even though I walked and talked with difficulty due to CP. 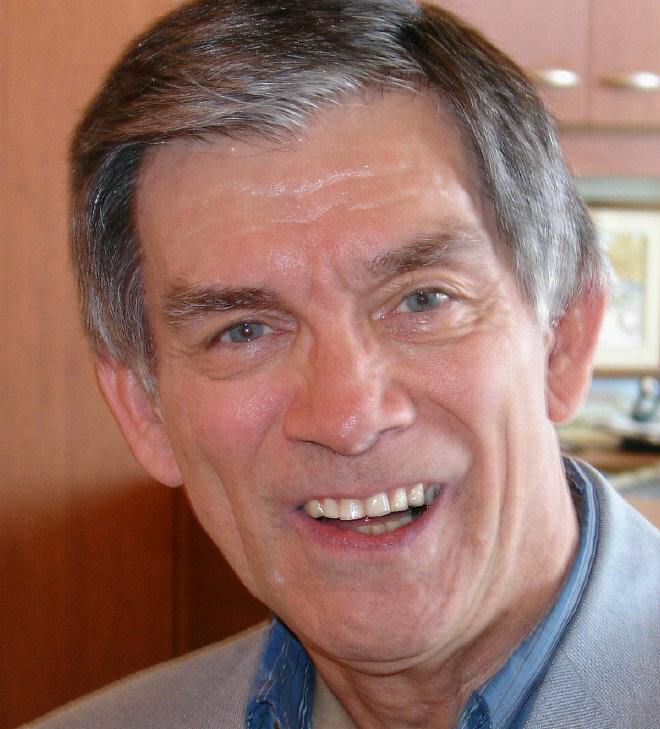 For me, this audiobook's 15 career-readiness strategies were confidence boosters because, together, they provided me with a quick career readiness assessment. Now is the time to help your high school student with special needs tap disability's advantage in today's job market. These are the time-tested strategies which now, decades later, may help you provide a career readiness assessment for your own youngster. Each of these 15 strategies are based on the road map recommended by National Career Development Guidelines (NCDG) and my experience as a Global Career Development Facilitator and as a person with special needs and mainstream work experience. Listen to Career Book 3. ... Your high school student is in a unique position to change perception one person at a time. 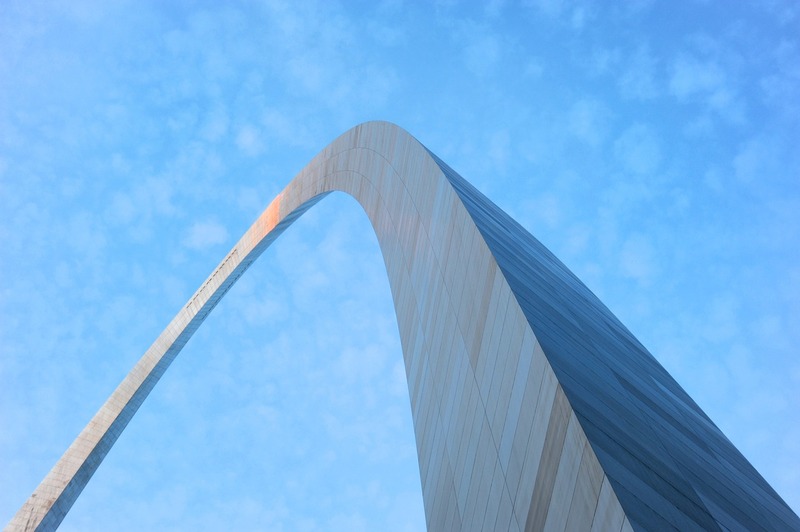 You can help him or her prepare for the role of an educator during job searches. 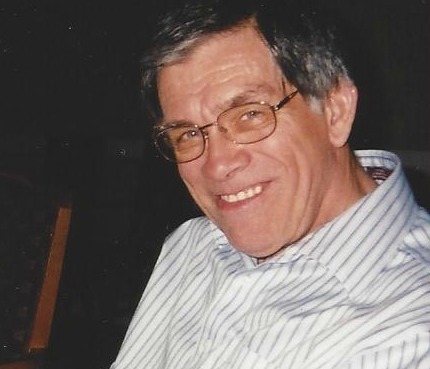 The task is to show prospective hiring managers he or she does not fit their preconceived notions of a person with a disability -- that your mentee is indeed the “exception” to sometimes long-held beliefs. That means your youngster must begin to actively position him or herself as the exception to those misconceptions, which are usually based on lack of knowledge. Those false impressions may have roots in misunderstandings picked up during the hiring manager’s childhood. They have never been challenged in the hiring manager’s mind -- until the individual you’re mentoring appears as a job candidate. Here’s the good news. Getting hired is not crucial at this point. As a career coach, you have time to counsel your high school student, and he or she has time to learn these basic problem-solving strategies for addressing misconceptions about disability. 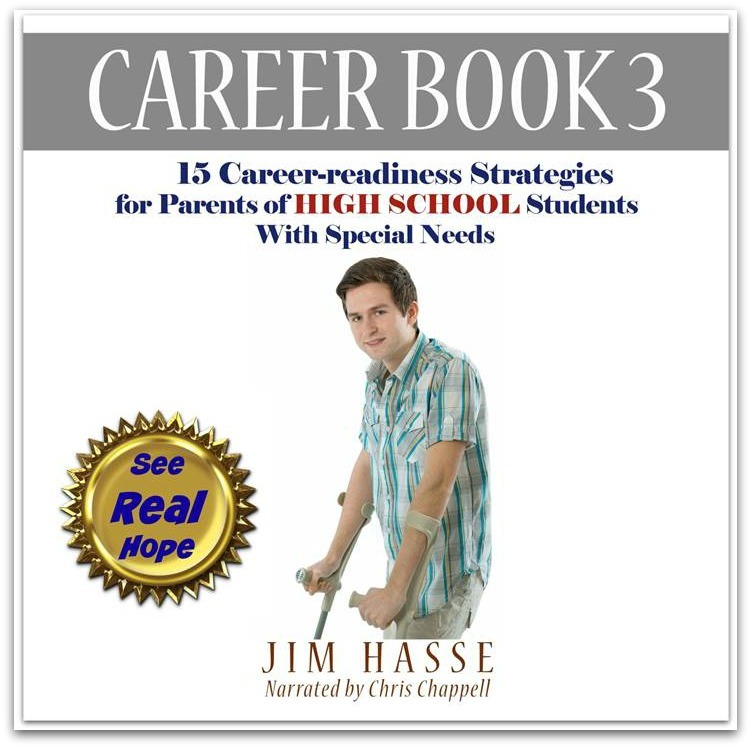 Jim Hasse, a Global Career Development Facilitator who has CP, summarizes the essential career development strategies to follow for career coaching your high school youngster with special needs. 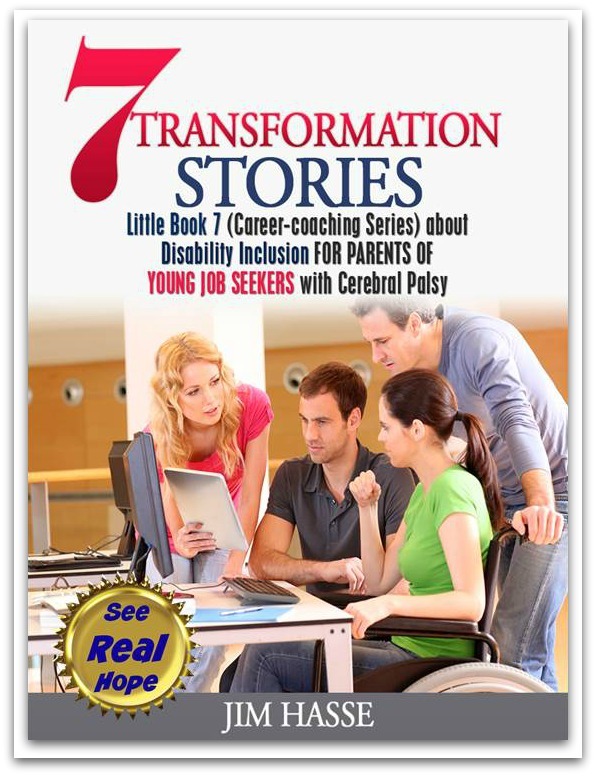 In Career Book 3, he outlines six strategies for helping your youngster grow in self-confidence and nine strategies for discovering disability’s competitive edge in tomorrow’s job market. Return from Listen to Career Book 3 to Part-time Jobs.